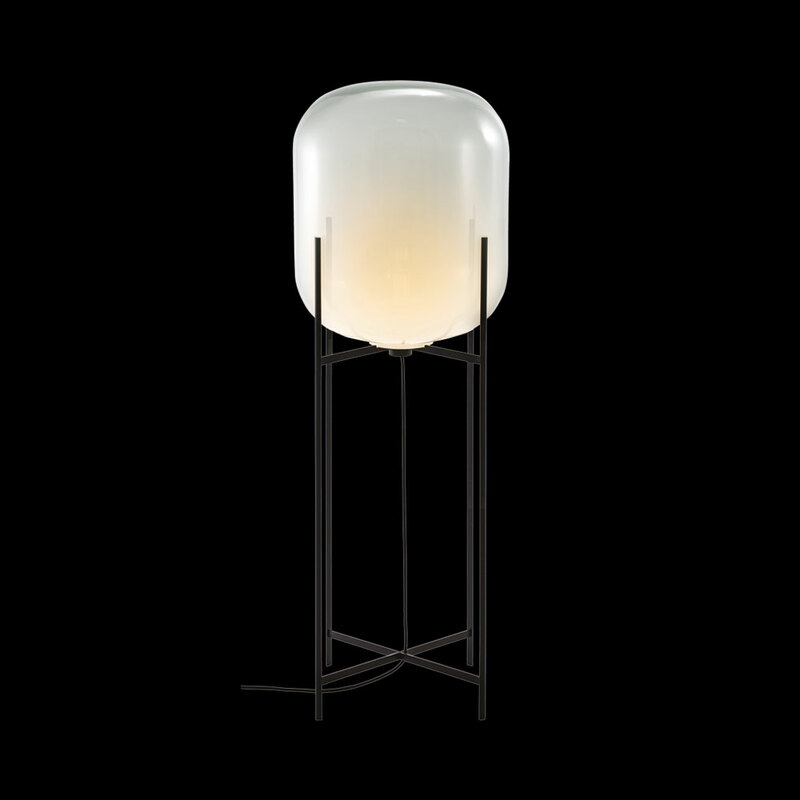 A slender base hugs a bulbous form. 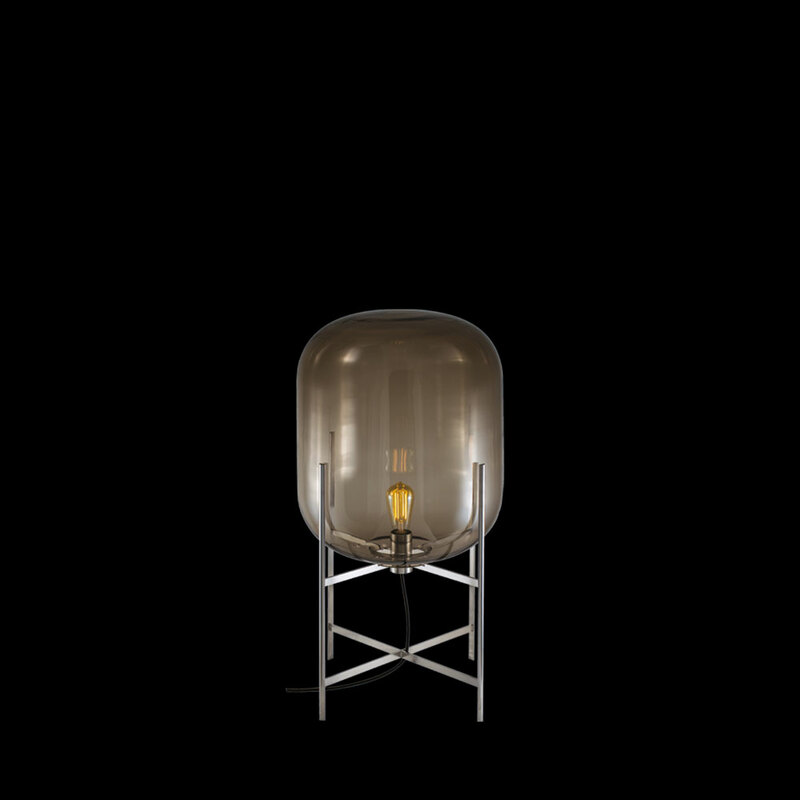 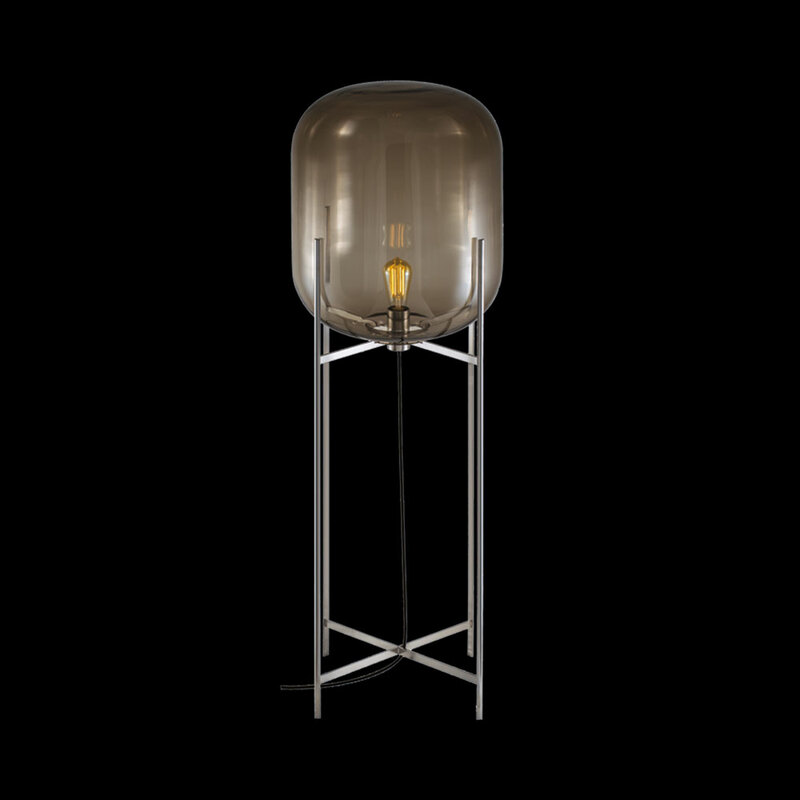 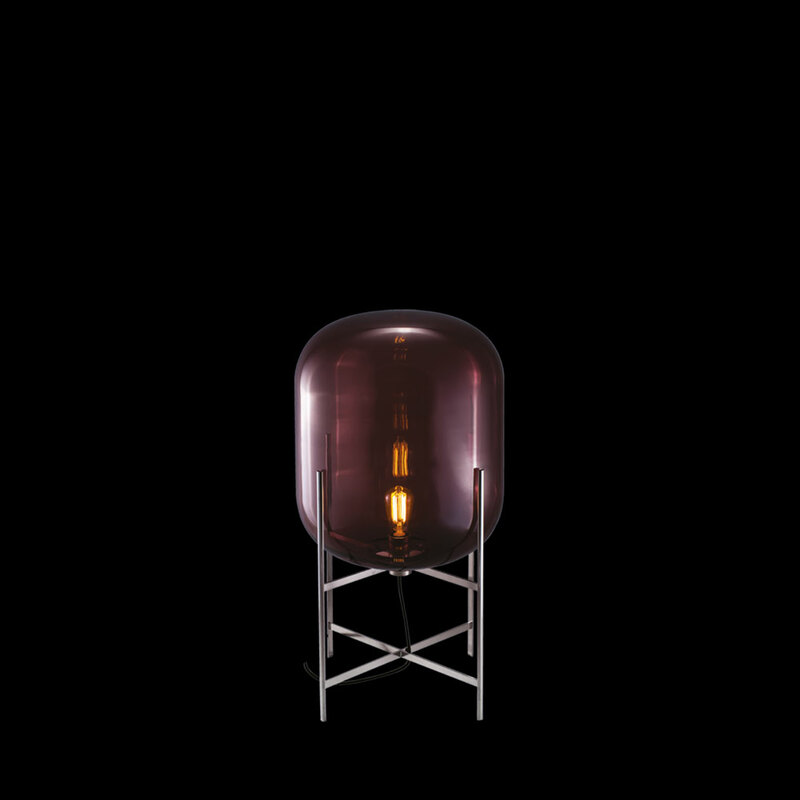 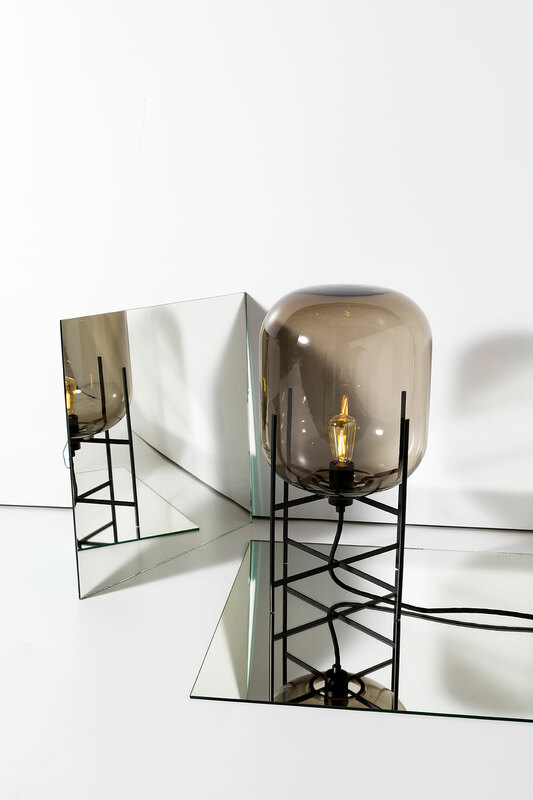 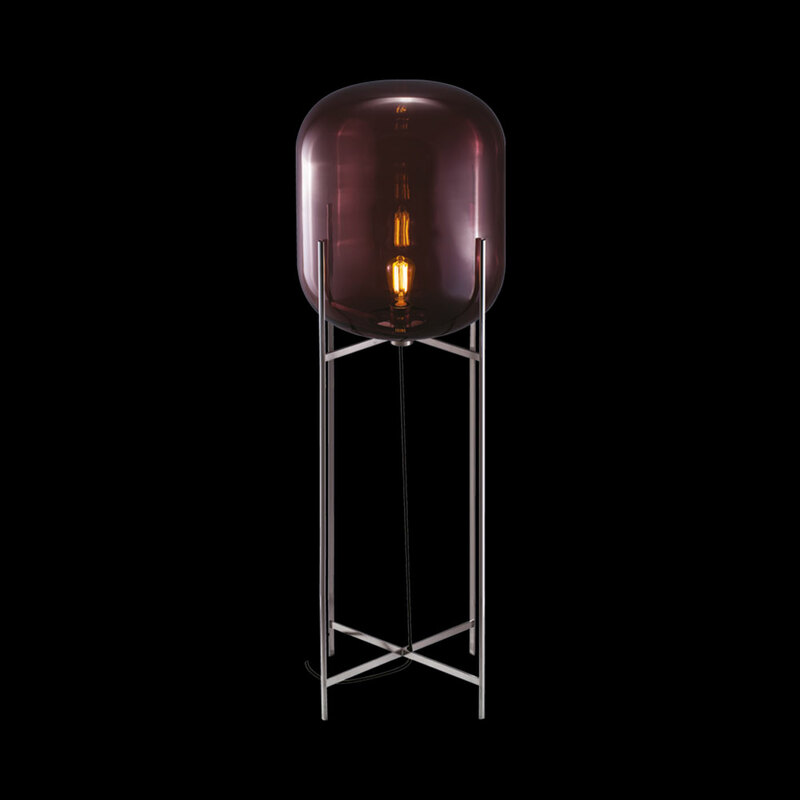 An industrial motif softened by the gentle curves of handblown glass. 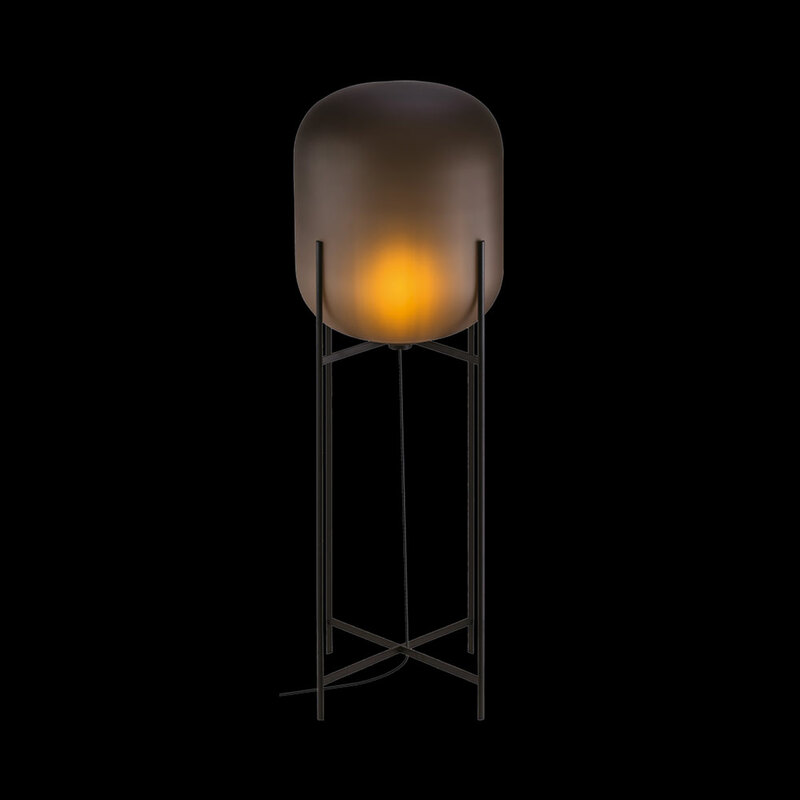 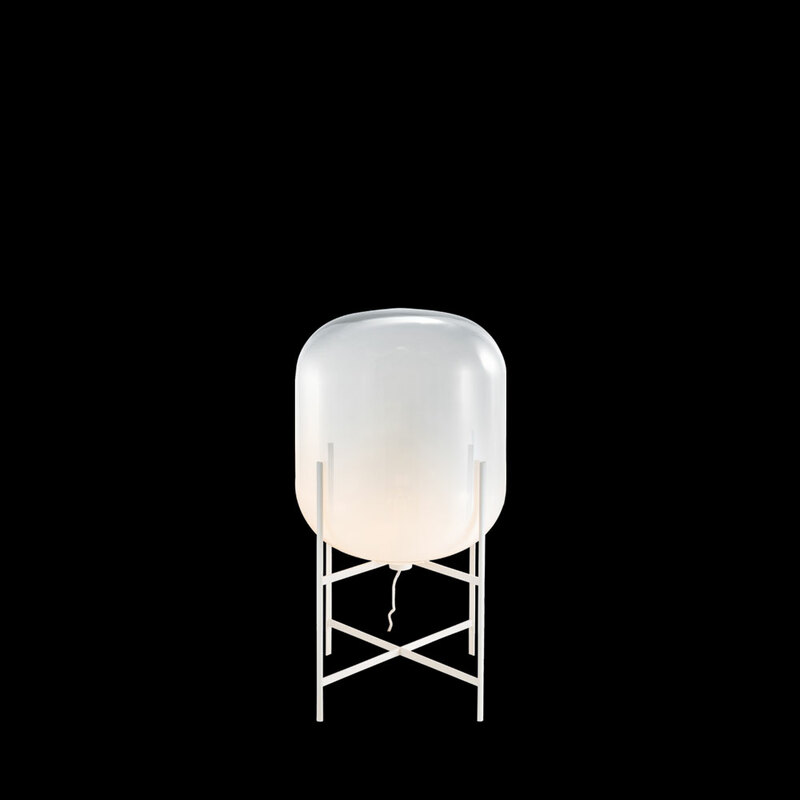 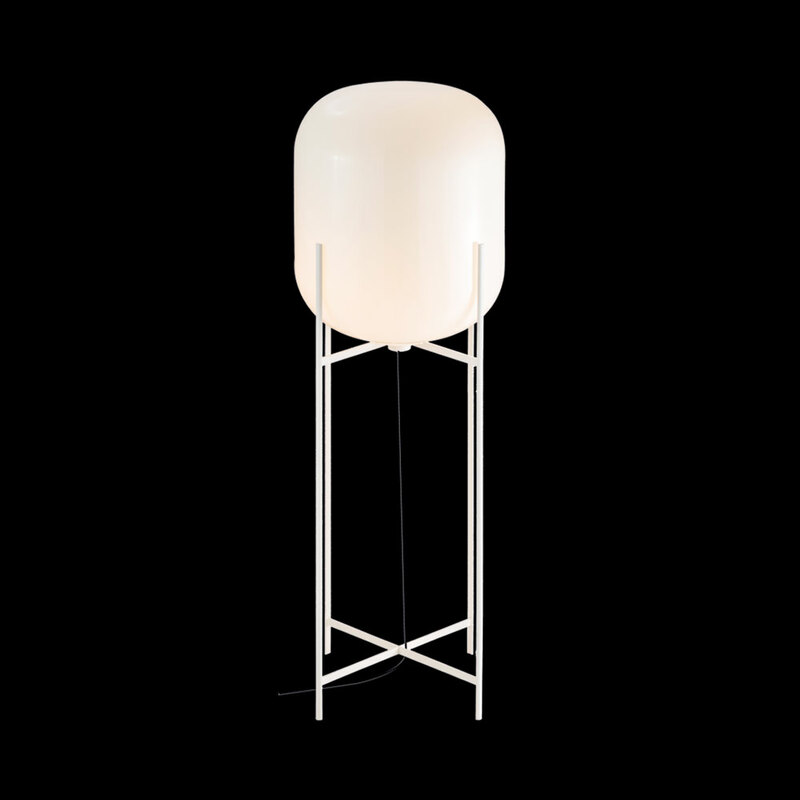 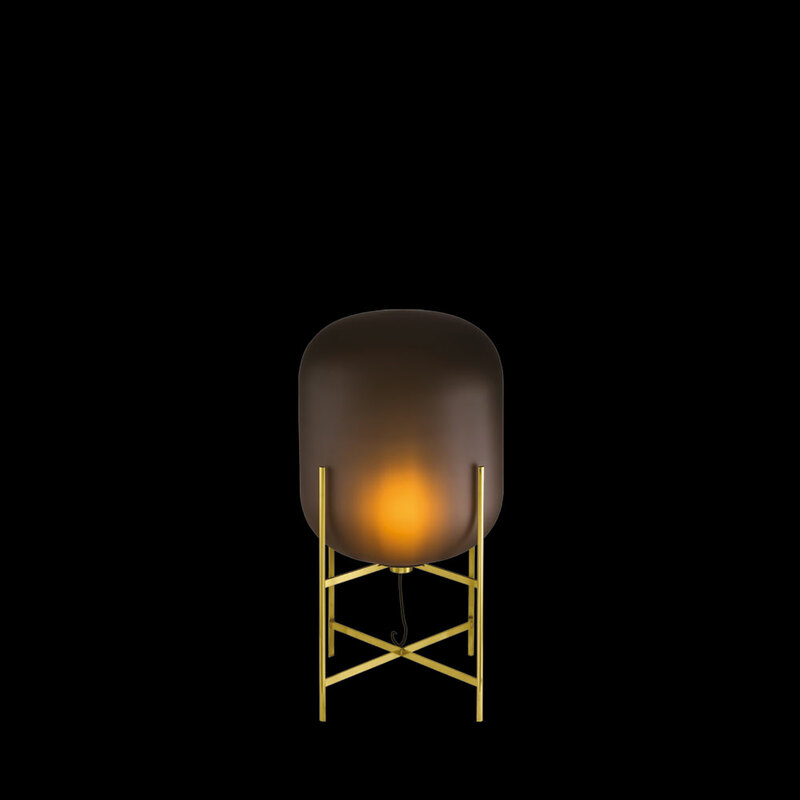 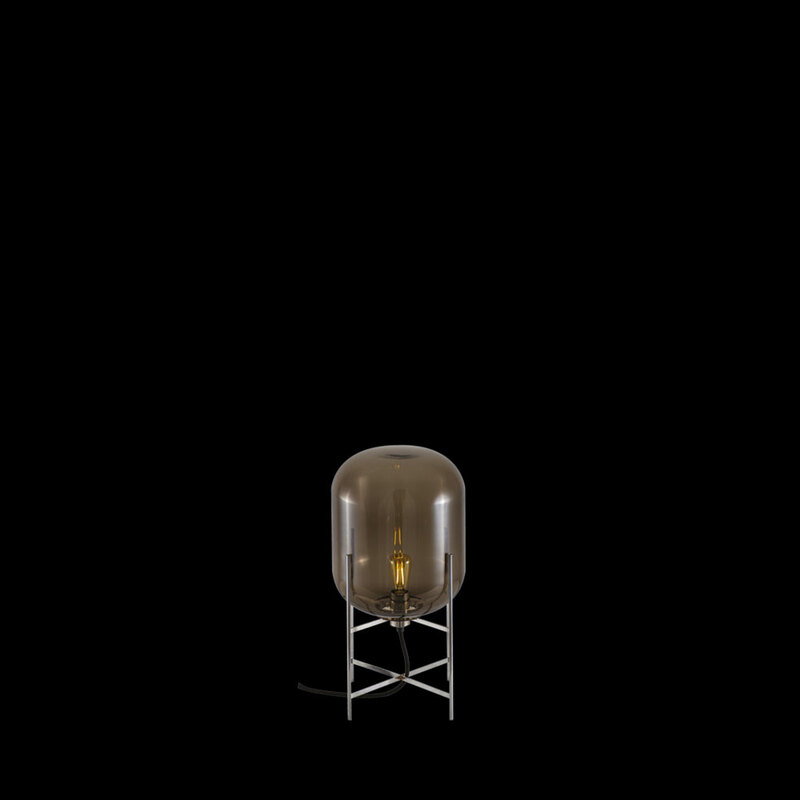 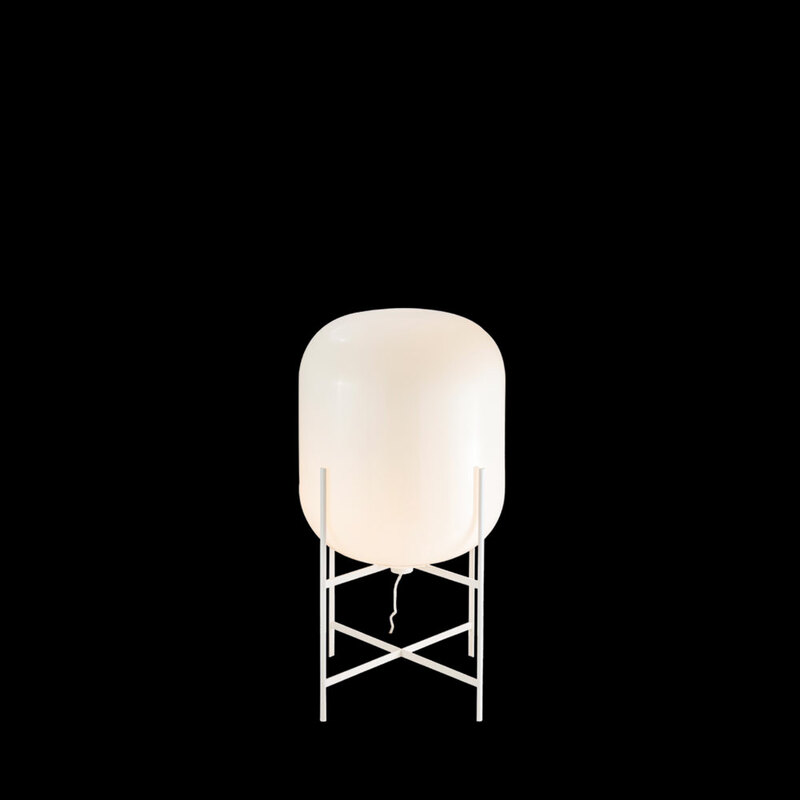 The Oda series of table and floor lights reference the stilted forms of silos, furnaces and water towers of a bygone age. 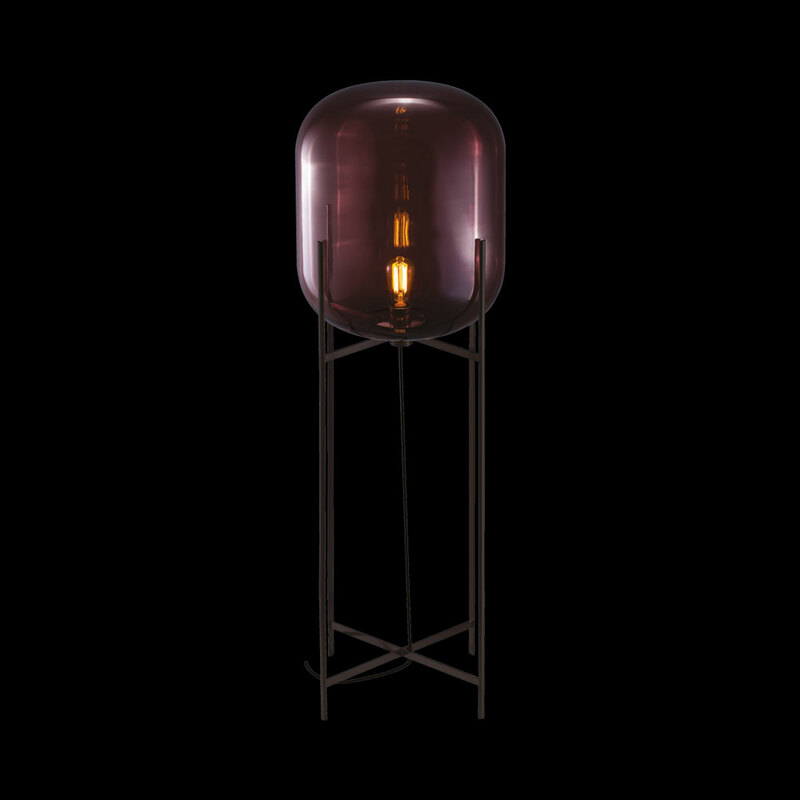 A warm glow brings this industrially charged aesthetic into a softer interior setting. 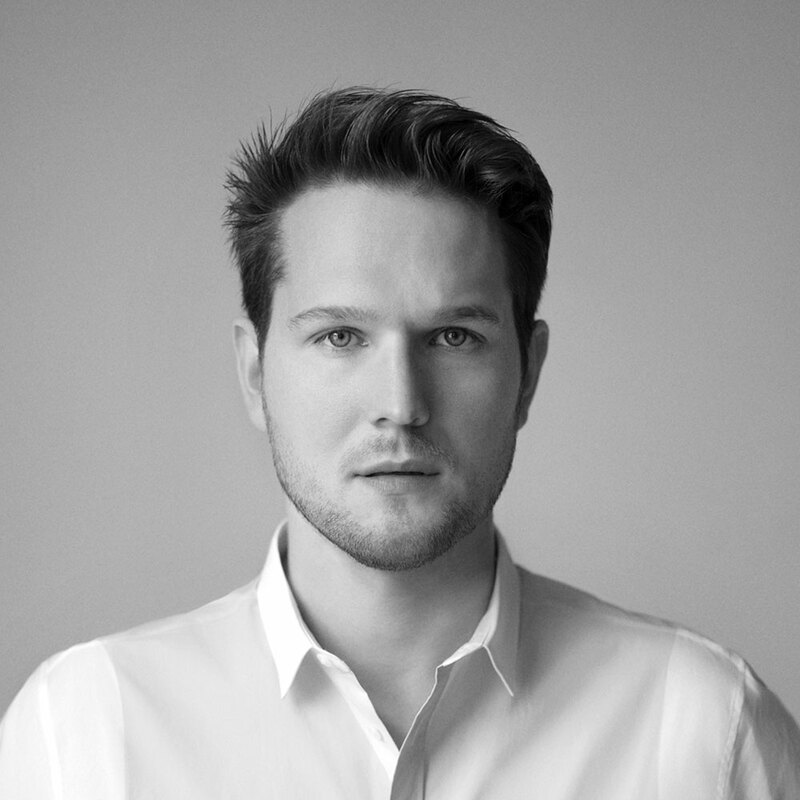 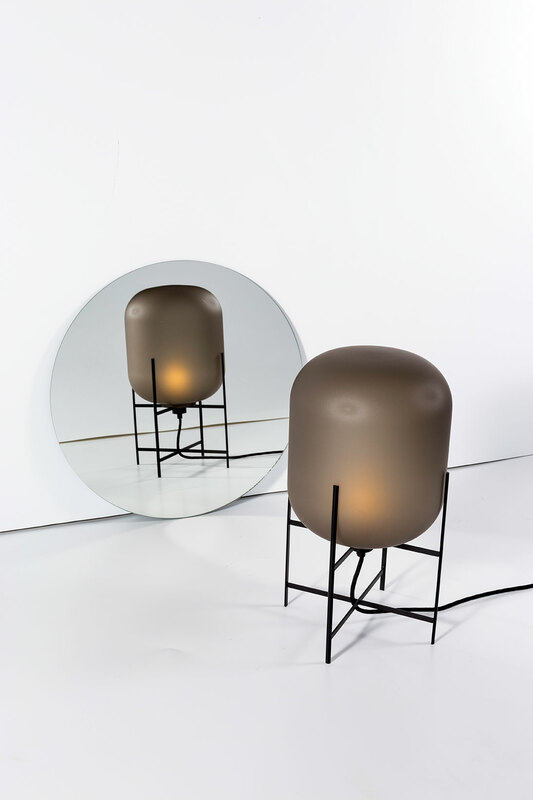 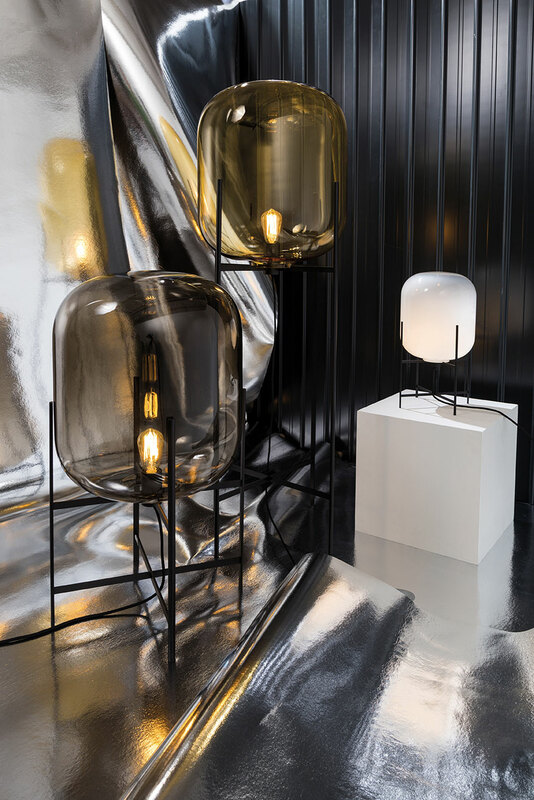 Originally inspired by the photography of Bernd and Hilla Becher, Sebastian Herkner has transported their curved geometric structures into objects filled with warmth and texture. 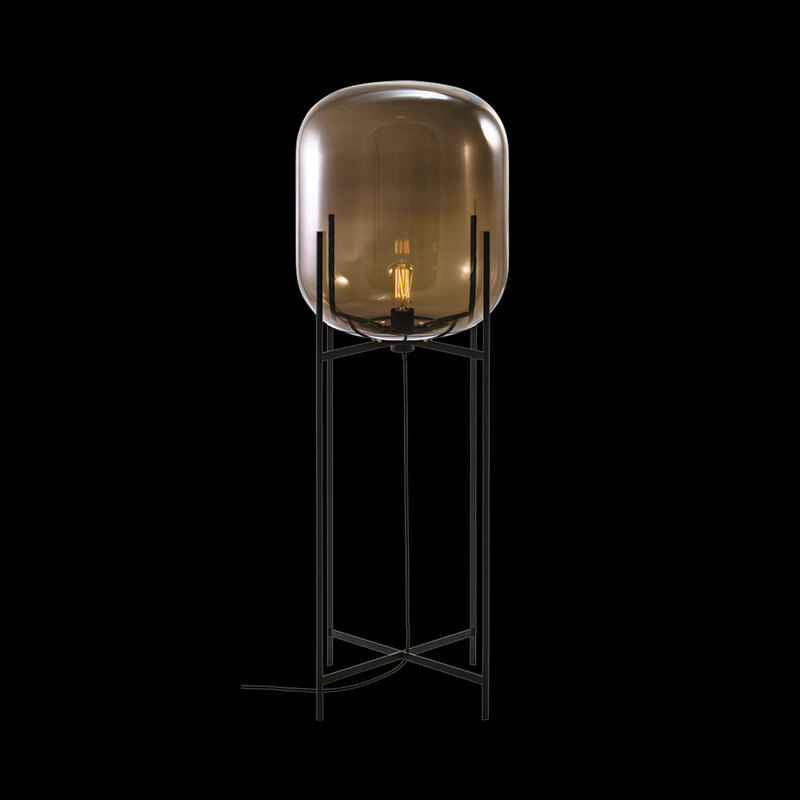 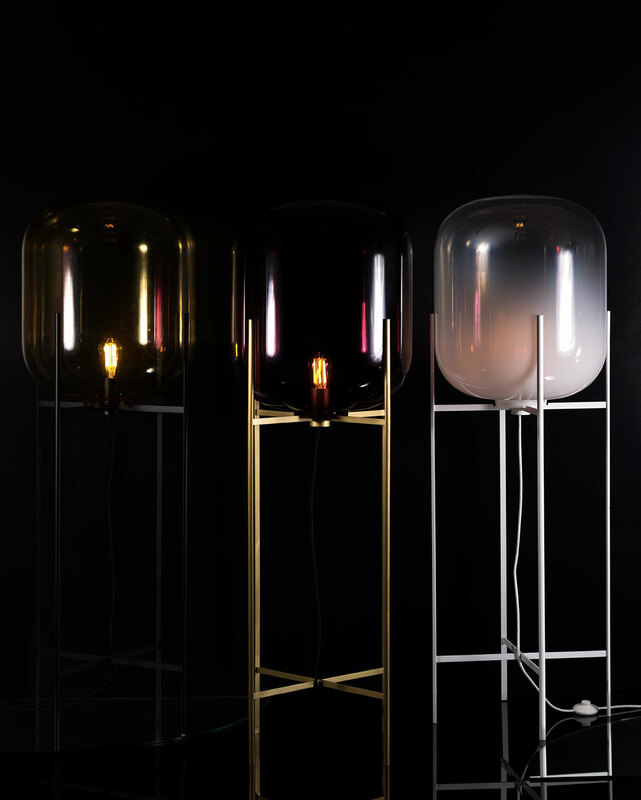 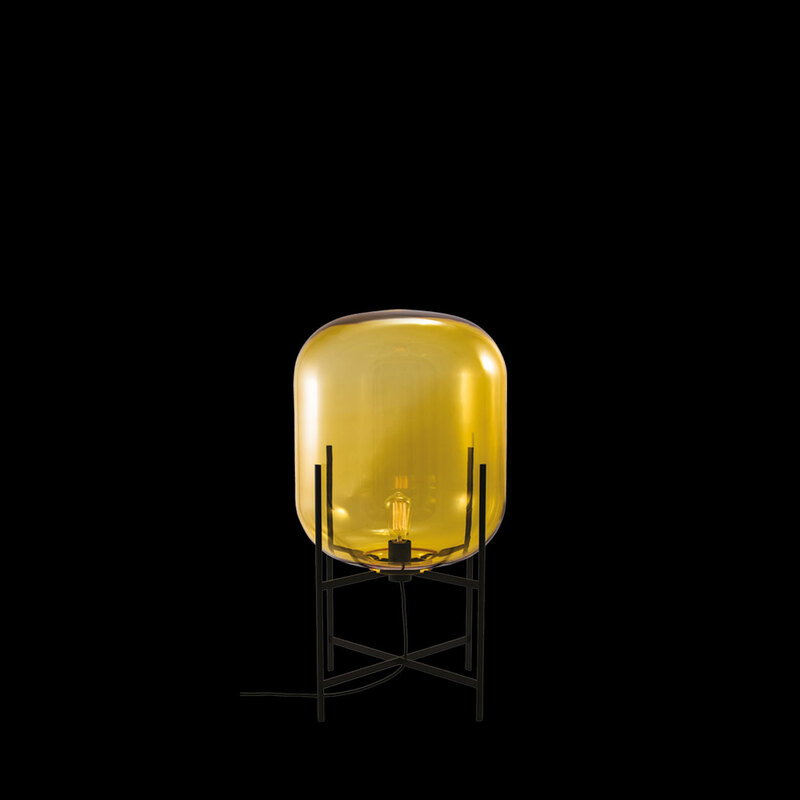 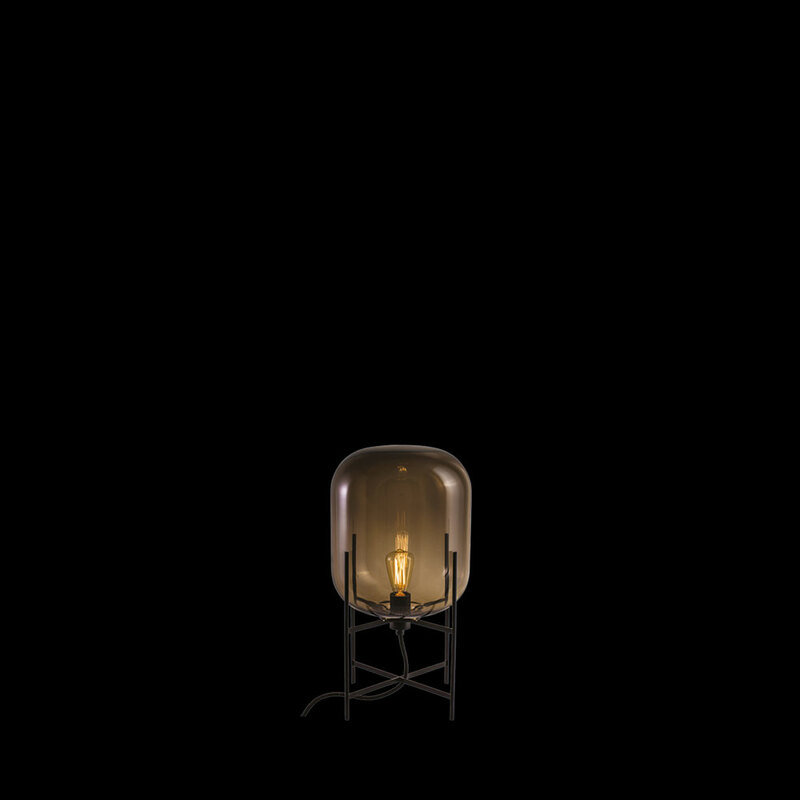 As if bringing the Becher’s still images off the page and into life, the Oda lights utilise deep tones and atmospheric transparencies to create a glowing centrepiece in any space. 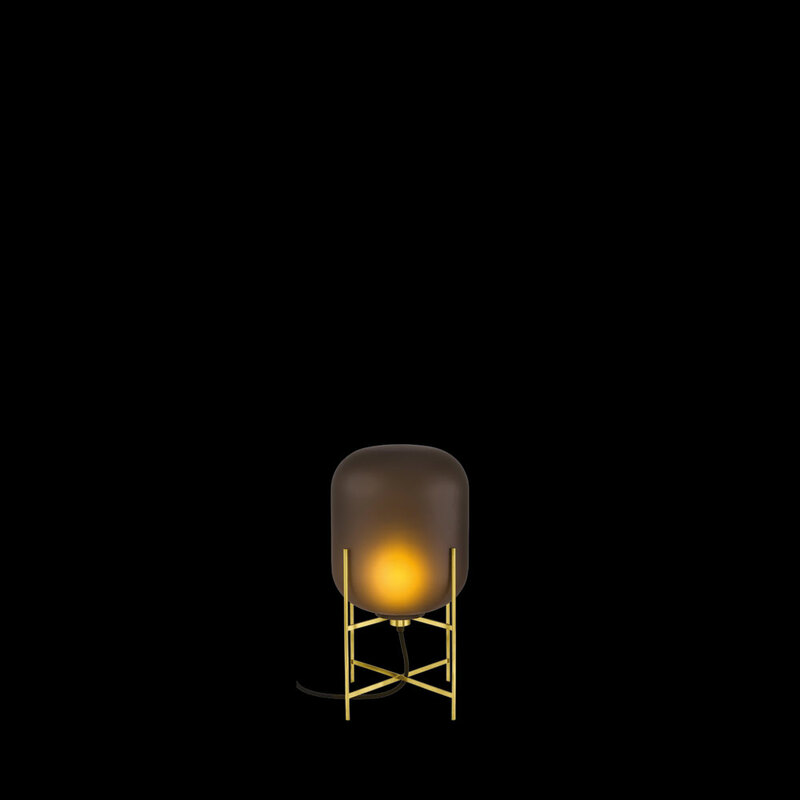 Available in a table light, a low floor light, or a raised up floor light; the ambiance of the Oda series can blend into any interior or stand up and be seen. 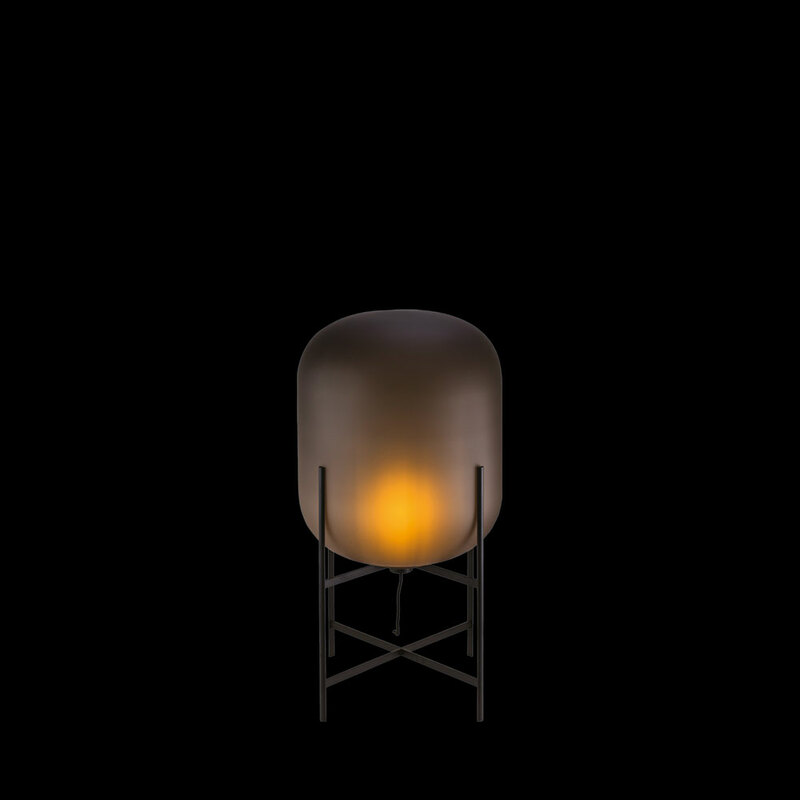 Much like the silos and water towers of which they are inspired, Oda’s simple forms appear both subdued yet bold. 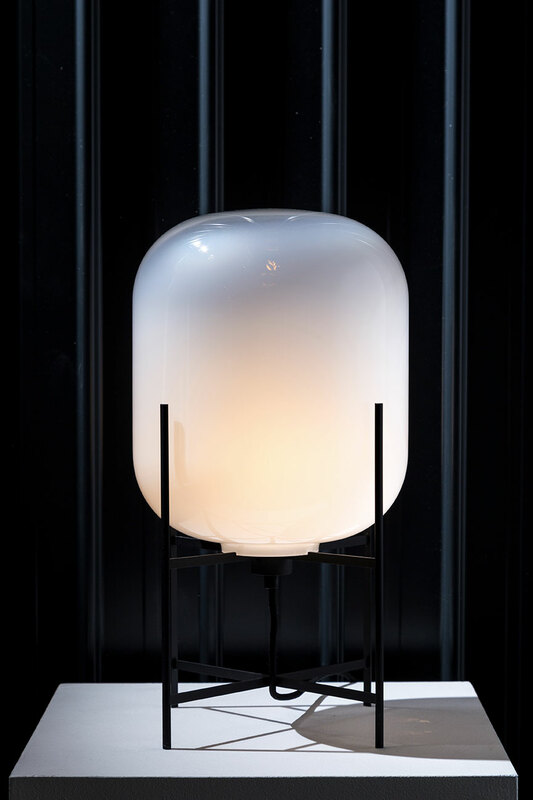 Their sleek frame lets the curvaceous tones of the handblown glass shine, making Oda a series full of illuminated radiance with a timeless aesthetic. 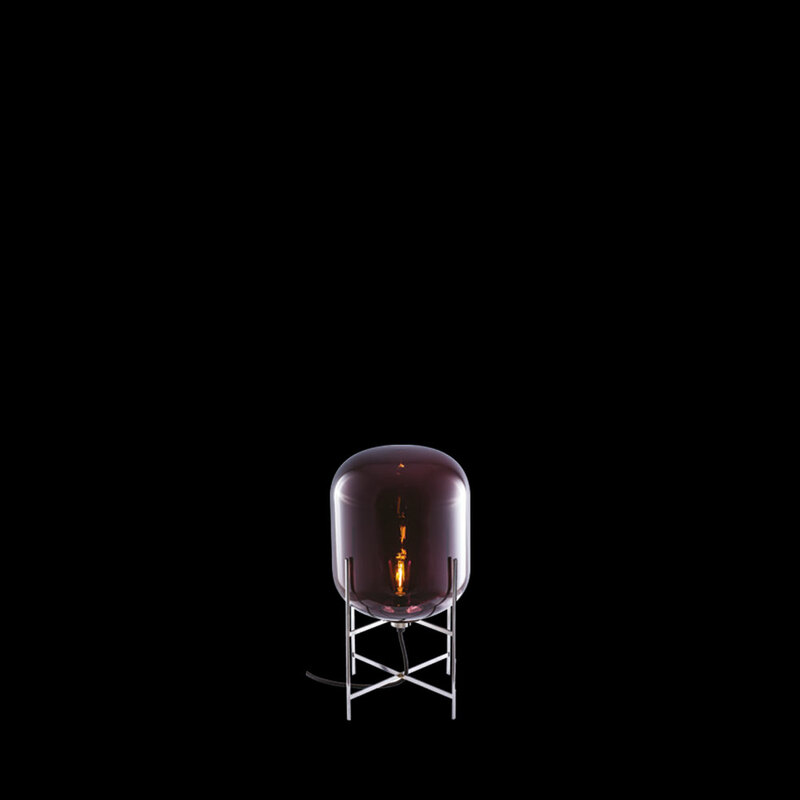 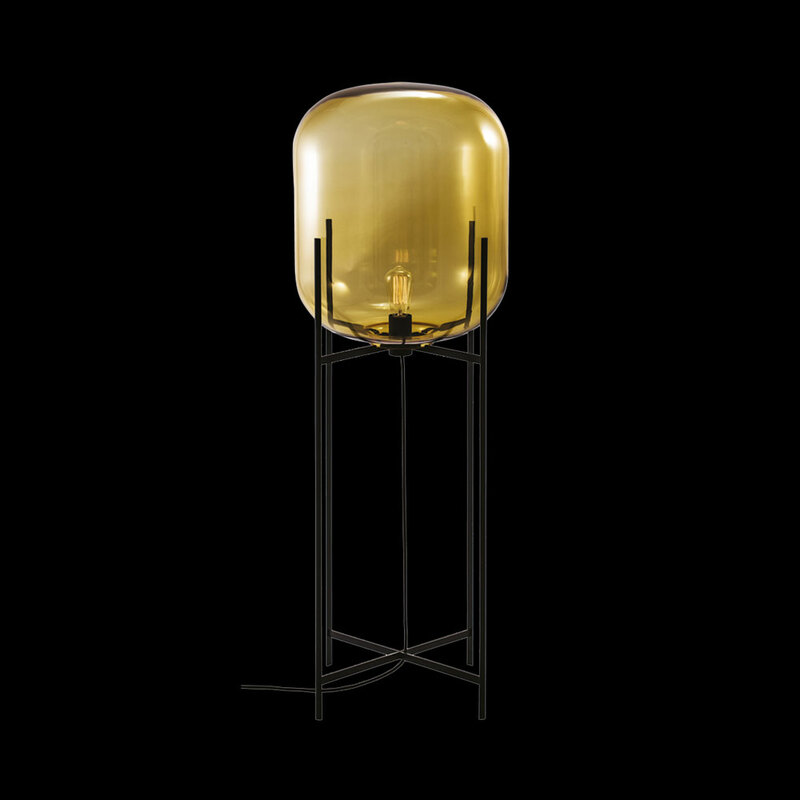 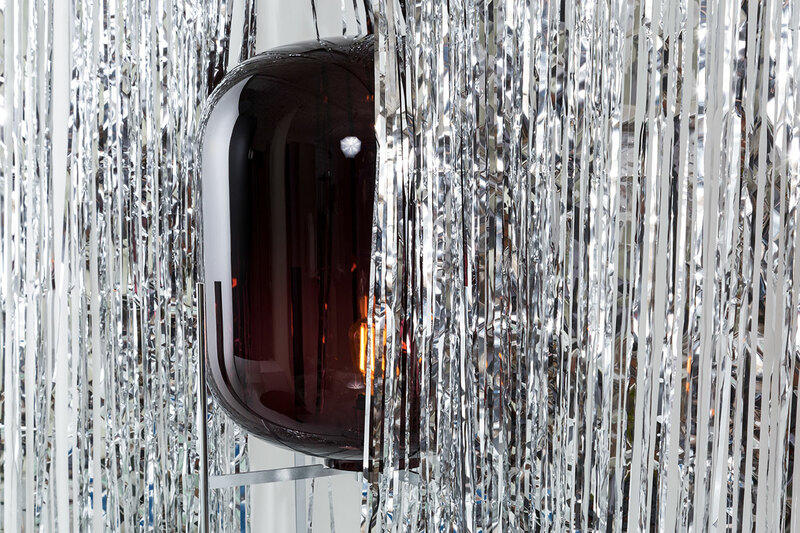 Each piece is created from coloured handblown glass. 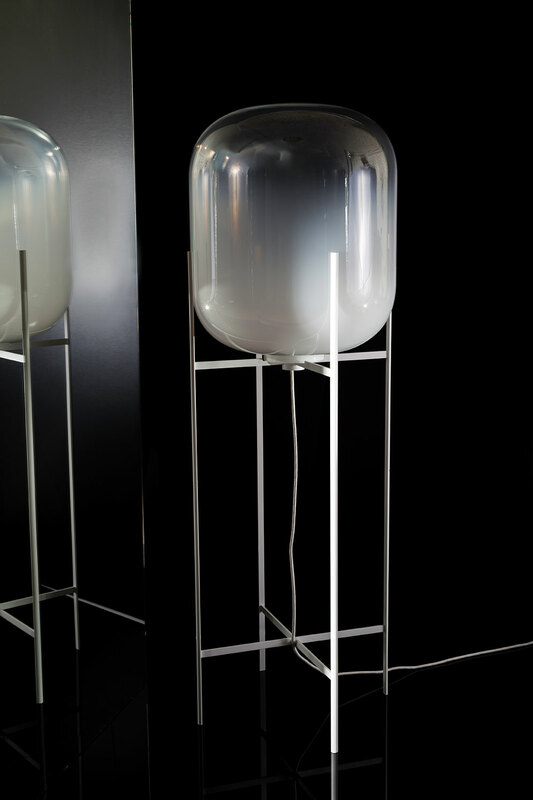 Bubbles, streaks and other variations in size and colour are part of the production process, and not defects of the design or production. 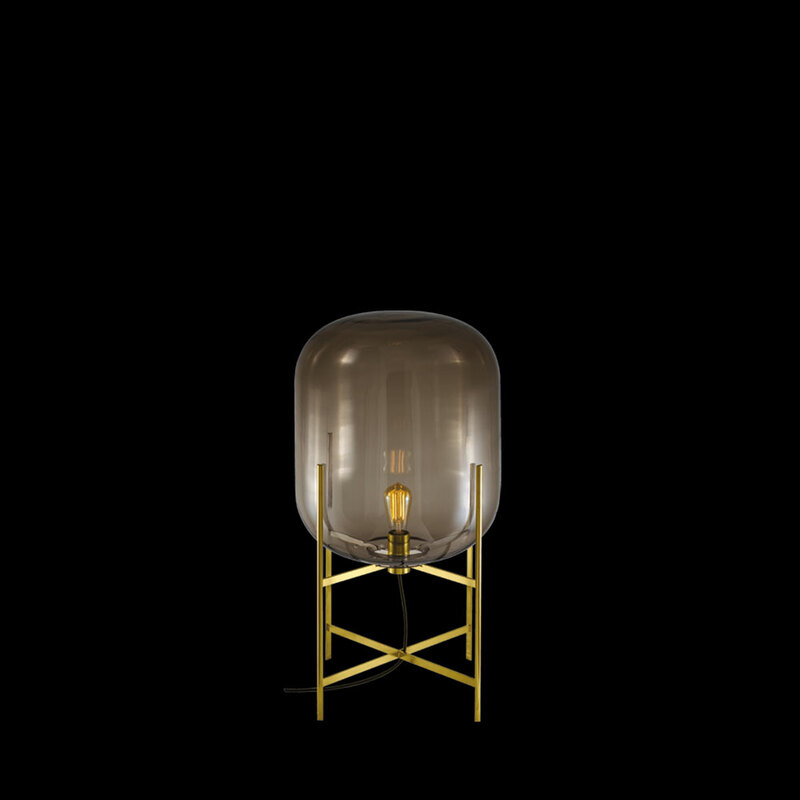 The frame is constructed in either steel; powder coated or chrome plated, or brass.